1980 Albion Street, also known as “The Hut,” is one of the oldest homes in Park Hill. The large home was built in 1901 by Charles Alfred Johnson, a prominent Denver business and civic leader, a partner of the eccentric Baron Von Winckler who first platted the Park Hill subdivision. Not surprisingly, Johnson selected a prime piece of land for his home, set back from Montview Boulevard along Albion Street. Johnson worked with Theodore Boal, and later the firm Harnois and Boal, on the home’s design, which included a heavy focus on entertainment and was known as the site of many festive social gatherings. In 1927 Johnson and his second wife moved to the elaborate and expansive new home designed by Burnham Hoyt in Douglas County. Tweet Kimball purchased that property after Mr. Johnson’s death, and today it is open to the public as the Cherokee Castle. Unfortunately, the home fell into disrepair over two decades as its longtime owner aged. 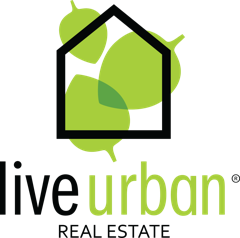 During the summer of 2018, a group of local investors purchased the still-expansive property, totaling 33,000 square feet. 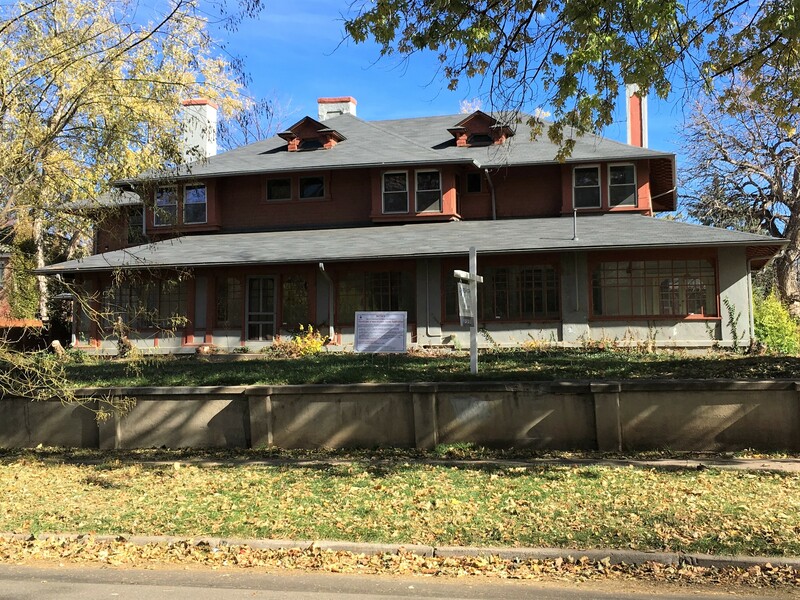 Many in the Park Hill neighborhood expressed concern about the potential loss of the house, and after a series of conversations and negotiations, the current owners and a group of neighbors – with support from Historic Denver – are working together to explore all reasonable paths to restoring and repairing the home. Historic Denver has identified a party willing to purchase and restore the home to its original footprint, and also presented the owners with several options for subdividing the large in a way that would allow for new homes as well. The decision to move forward is now in the owners’ hands. In the meantime, the owners did commission documentation of the home by a preservation consultant. These materials will be transmitted to the proper archives as a record of the home, including early architectural drawings. “A man came west in those days for health, wealth or reputation. I came to make a fortune,” Charles A. Johnson once told the Rocky Mountain News. “I had worked four years in a shoe factory in Massachusetts and I was tired of the hard work and long hours. I came to Denver, bought a new suit of clothes…a deal went through here and I made some money.” The former cobbler made his fortune in Denver real estate, and some of his deals were with Park Hill’s Baron von Winckler. As one of the baron’s few friends in Denver at the time of his 1898 death, Johnson was asked to handle von Winckler’s estate and became rich selling off the former Park Hill Ranch. In 1914, Annie Johnson died. At the outbreak of World War I, Charles, who was then pushing 50 years of age, suspended his Denver affairs and volunteered for the Ambulance Corps in France. There he met his next wife, Alice Gifford Phillips, a wealthy American widow. They married in 1920. 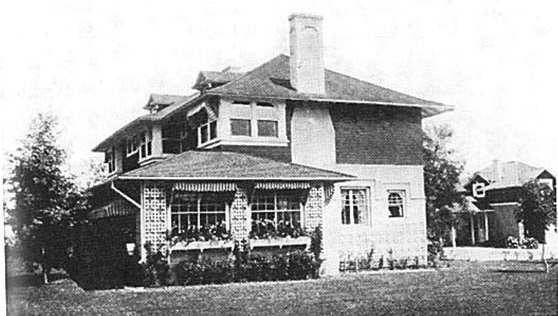 Photo caption (for historical photo, above): Like his fellow millionaires building “cottages” at Newport, Rhode Island, Johnson downplayed his large Craftsman manse in contrast to the nouveaux riches who called smaller houses “mansions.” For 25 years, “The Hut” saw numerous additions and upgrades as it became one of the prime party venues for Denver society, as featured here in the Denver Social Club and Club Annual for 1914-1915. Its stuccoed first floor, shingled second story, full-length enclosed front sunroom, three chimneys, and petite attic dormers make it charmingly homey. To read more and to see historic images visit www.savethehuthouse.com.